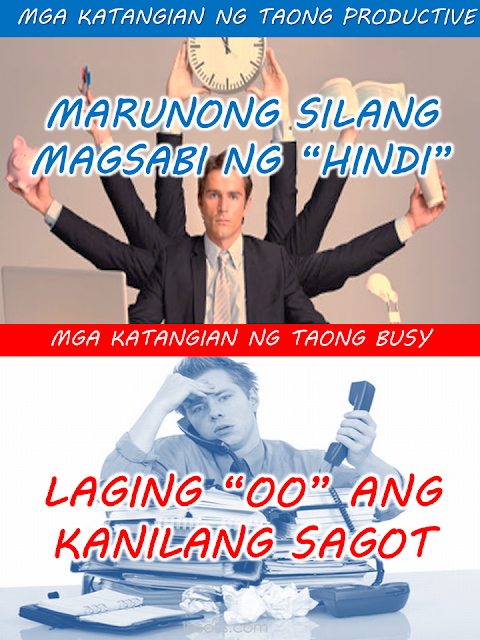 HOW DO YOU DIFFERENTIATE PRODUCTIVE PEOPLE FROM BUSY ONES? 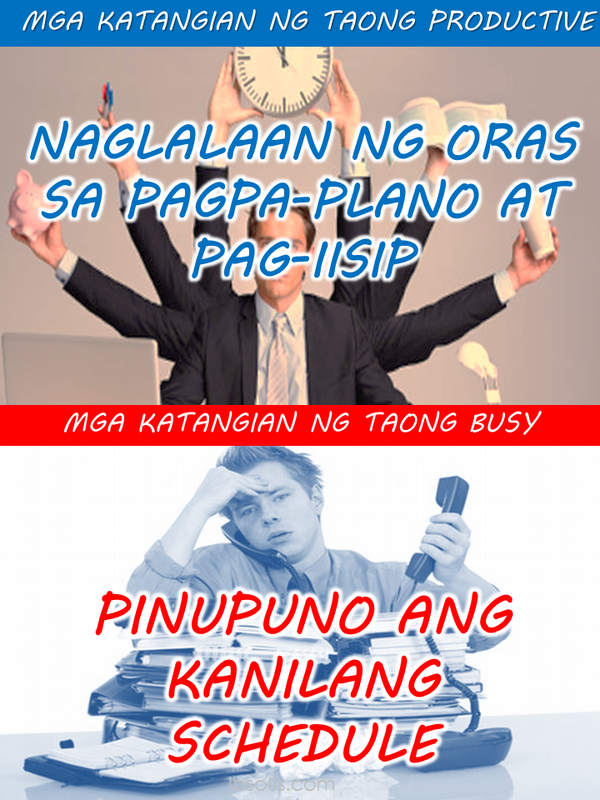 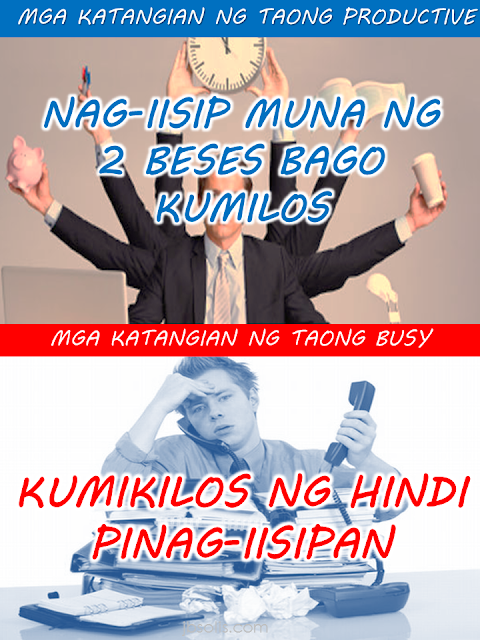 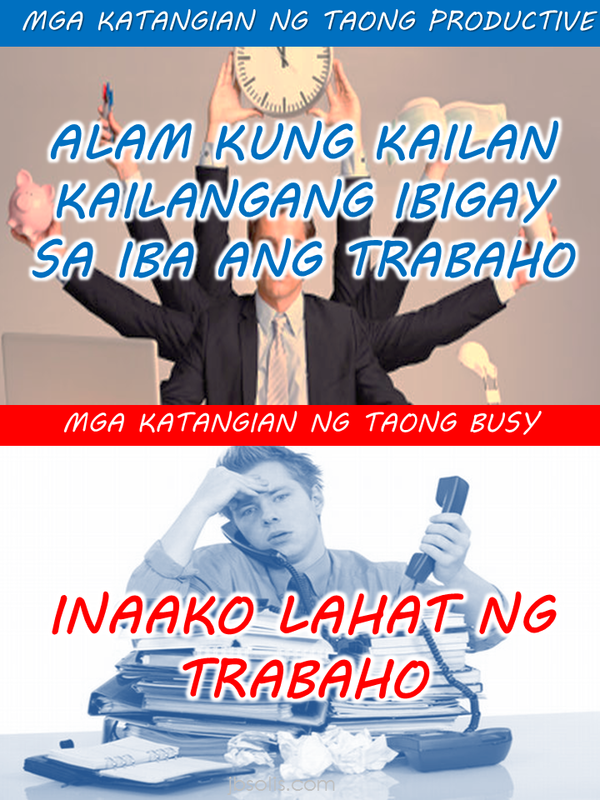 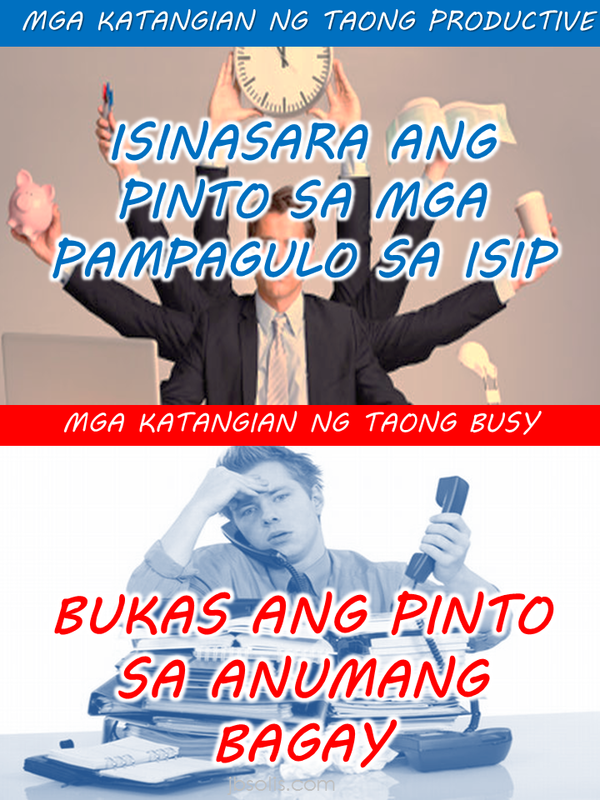 Being busy doesn't always mean you that you are productive,and being productive doesn't mean you need to be busy all the time.In this article ,you may come to know te difference of the two seemingly similar traits but totally different things. 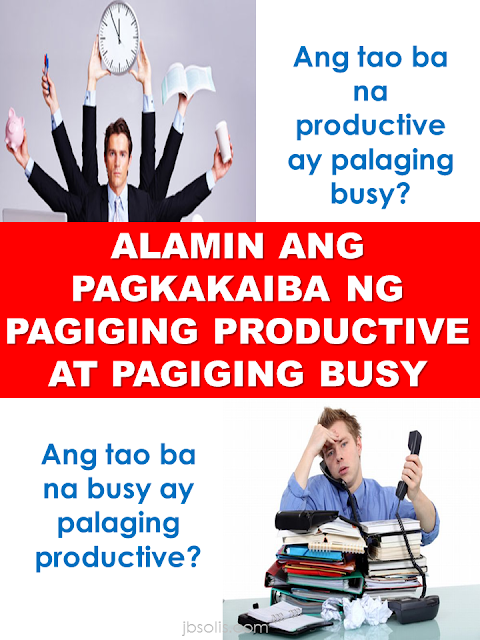 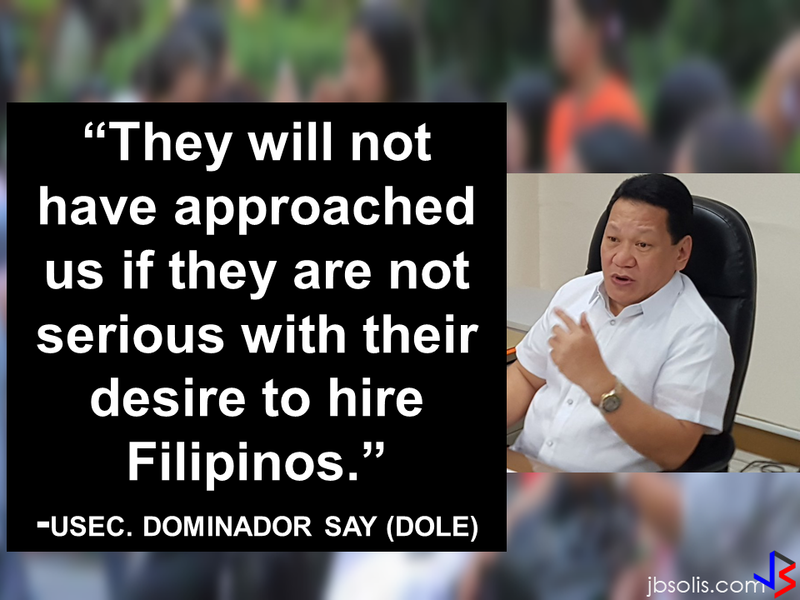 1.Productive people know how and when to delegate.Busy people always take on all responsibilities. 2.Productive people close their doors on distractions.Busy people open their doors for everything and oftenended up being distracted and lose focus. 3.Productive people always focus on the big picture rather than small details allowing them to be determined and focused on a certain perspective.Busy people focus only on small details. 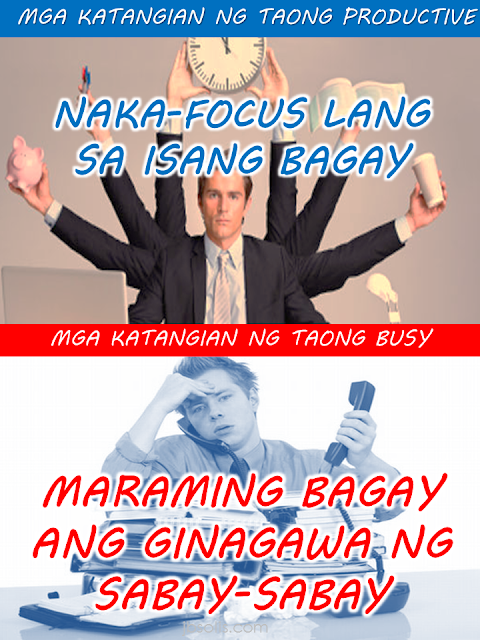 4.Productive people has definite goals and strategies.Busy people doesn't have a goal and let alone strategies. 5.Productive people focus on one task at a time.Busy people always do multi-tasking. 6.Productive people knows how to say "no",busy people don't. 7.Productive people has only few priorities,busy people has lots of them. 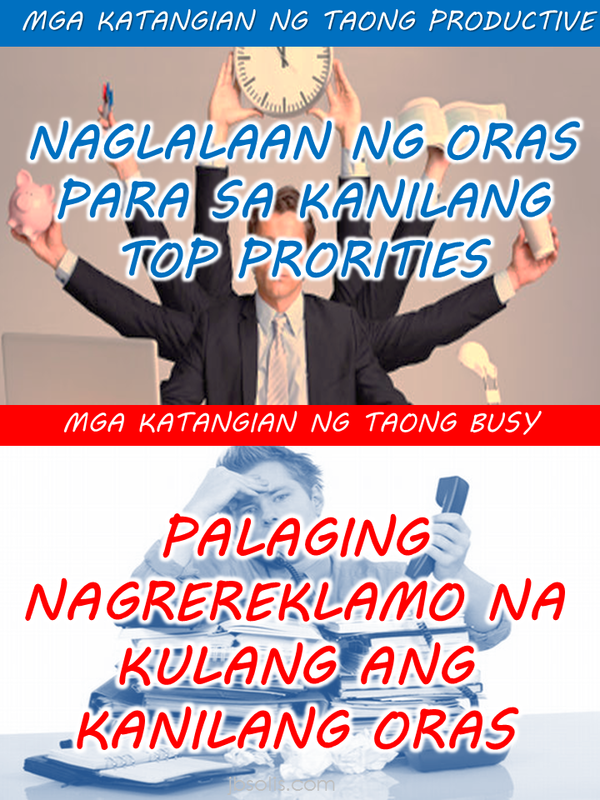 8.Productive people always leave time for reflection and planning.Busy people always make their schedules full,leaving no room to relax and take a breathe. 9.Productive people think twice before they act,busy people act without thinking. 10.Productive people make time for their priorities.Busy people always complain of not having enough time for everything. 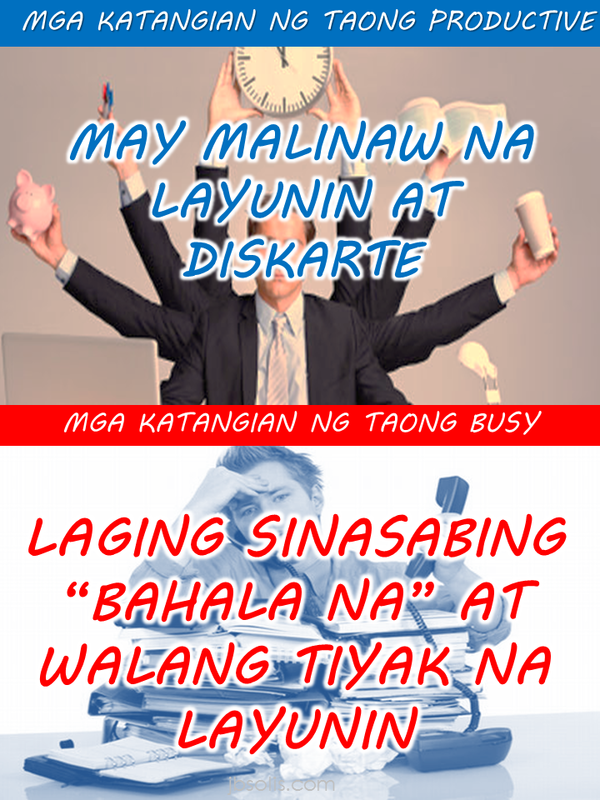 Bottom line,do not try to be always busy but make sure that whatever you do,you dont exert your time and effort for nothing.Do something and be productive.